Tools have no finish or coating. They are a good choice for general purpose applications. 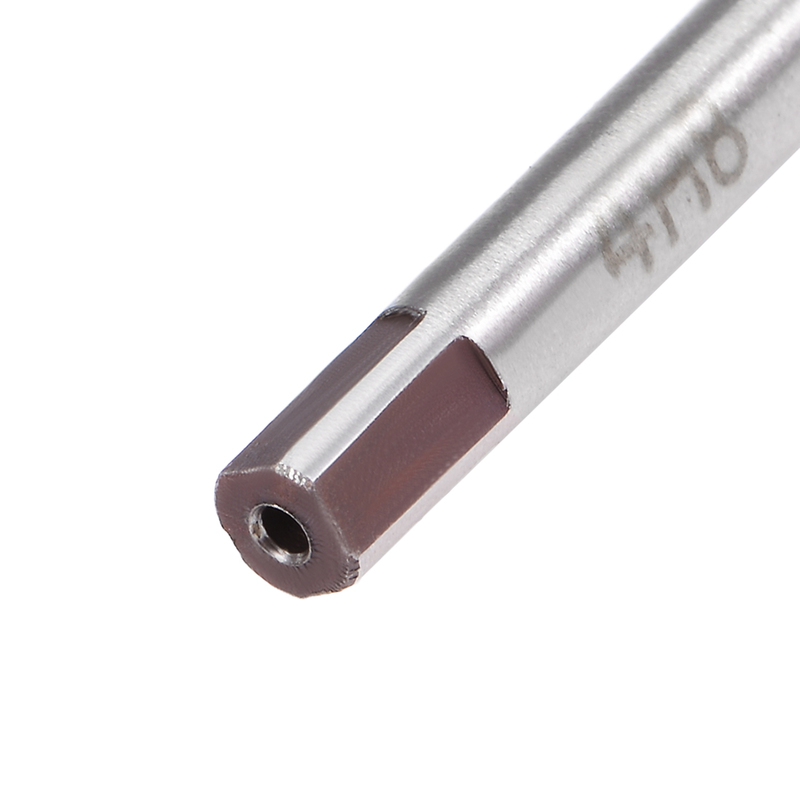 Straight shank reamers suitable drilling hole for aluminum, cast iron, copper, magnesium alloy, plastic, wood, etc. Straight shank hand reamers can be installed on drilling machines, milling machines, etc. Cutting Diameter: 4mm / 0.16"
Tool Flute Length: 39mm / 1.54"
Square Shank Diameter: 3.3mm / 0.13"
Overall Length: 79mm / 3.11"